I was privileged to watch some spectacular golf at Strathmore last week where Ayrshire had no fewer than 5 girls competing. For Grace Mackie it was her first time at this event and she coped very well scoring 95 and 92 playing off a 20 handicap. 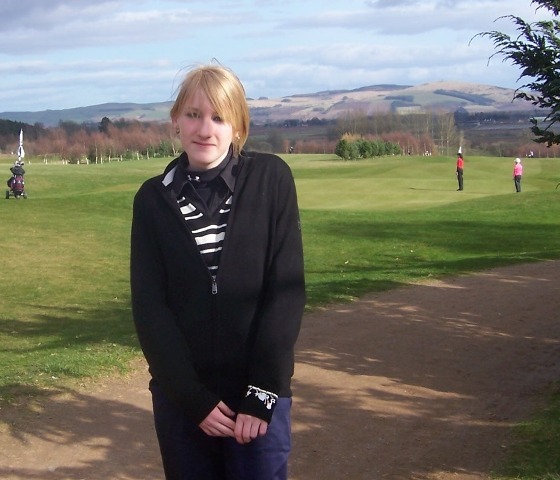 I'm sure Grace's handicap will tumble quickly after this experience of playing a new course. Emma Hale, whose age is the same as her handicap, 13, had two consistent rounds 85 and 84 both in her buffer. Connie Jaffrey had a disappointing 87 on the first day but put that behind her and came right back with a two over par 74 the next day. Connie was a member of the SLGA's second team competing for the Team Trophy which was won by England's second team. Rachel Irvine improved on her first round by 14 strokes recording a gross 79 nett 61! This terrific round won Rachel the prize for the best nett on Day 2. 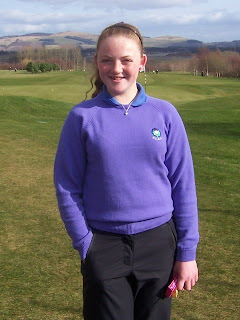 Well done Rachel - working on your short game and putting over the winter has clearly paid off. 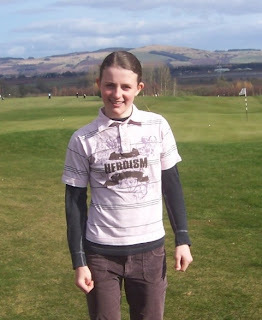 Last but not least, Katie McGarva played well below her 11 handicap on both days. 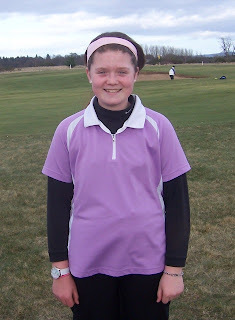 Her 79 on Day 1 played in tricky windy conditions, she bettered on the second day with a superb 75. These two excellent scores earned Katie the top prize for the best nett aggregate for the championship. 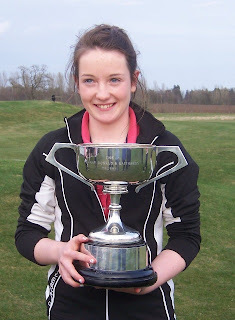 Congratulations Katie, keep up the birdies and keep smiling! All the girls were a credit to our County and a joy to be with.